1. "Definition of ""Future Value of Annuity Factors"""
A "cash flow" is commonly defined as any single or recurring intake or outflow of money. The source of these funds can vary significantly, ranging from items as complex as dividend distributions to simple expenses such as utility bills. Given the wide array of actions covered by this term and the implications of this type of fiscal flow, it can be very insightful for individuals to try and create a definitive outlook on the future "worth" of both their intake and outflow. Not only will this information allow you to quickly assess the current state of your fiscal health, but it will also allow you to better prepare long-term financial strategies for some of life's more significant moments, such as buying a home or paying for your child's college tuition. Fortunately, you can use a series of relatively straightforward steps to determine the future value of cash flows. 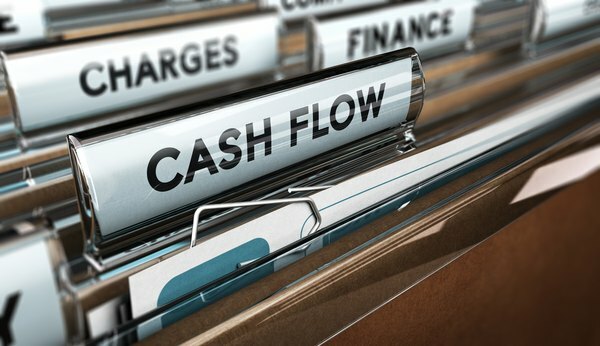 In order to determine the future value of a cash flow, you will need to assess whether or not the flow is a one-time or recurring transaction. You will also need to evaluate whether or not interest is accruing on the funds that make up the cash flow in question. In order to begin effectively calculating the future value of cash flows, you must first identify which of your cash flows are recurring expenses and which only happen once. Additionally, if there is any particular interest rate attached to these cash flows, you will need to determine the amount of time that will pass before the intake or outflow occurs and how interest will affect the amount of principal involved. Calculating the value of a one-time cash flow is significantly easier than determine the overall value of a recurring action. This is due to the fact that you will only need to know the duration of time until the transaction occurs, the value of principal involved in the intake or outflow and the interest rate (if any) attached to the principal. If there is no interest rate attached to the cash flow, you can simply use the value of the principal as it stands currently as the future value of the flow itself. There is no need to engage in any additional calculations, as the principal balance will remain unchanged irrespective of how much time passes. In the event that the balance is subject to interest, you will need to use a future value calculator to determine the impact of this interest on the overall principal balance. In order to do so, first determine how much interest will accrue for each compounding period. For example, if interest accrues monthly, you can divide the annual interest rate by 12 to determine the monthly interest rate. Similarly, you can divide a yearly interest rate by 365 in order to assess the daily interest accrual rate. Once this is done, you can use this partitioned interest rate to measure the total accrual based upon the specific number of days or months until the transaction occurs. Once the total interest has been calculated, you can add this to the principal balance in order to determine the total sum of money that will form the basis of the cash flow. If a sum of money will either be given to you or paid out by you on a regular basis, this is commonly referred to as a recurring payment. Calculating the future value of this particular transaction will first require you to identify whether or not interest is accruing on a balance and the total number of payments that will be made. It does not matter if you are receiving or distributing the money; the method for calculating the future value of either inflow or outflow in this particular situation is identical. Much like one-time cash flows, the process of calculating the future value of a recurring payment will be noticeably more straightforward if interest does not accrue. This is due to the fact that the only required data is the size of the recurring payment and the number of times the payment will be made. You can multiply these two figures together in order to determine the total future value of the payments. As an example, if a $375 recurring payment occurs monthly over the span of 18 years, you can multiply $375 by the total number of months in 18 years, 216. This method of calculation is a widely used annuity formula for many retirees. The resulting sum will be the future value of the payments once all recurring cycles have been completed. In the event that a recurring cash flow is generating interest, you must first determine how often interest compounds and the specific type of interest policy that is being used, be it a fixed rate interest plan or variable interest rate. For example, if interest compounds monthly, you will need to calculate the amount of interest generated in the first month of the payments and add this total to the principal balance before you calculate interest for the second month. However, if interest only compounds annually, you can take the sum total of 12 monthly payments and multiply this figure by the decimal-formatted interest rate percentage value in order to determine how much interest has been created. This sum should be added to the total principal balance before compounding interest for a second year. Depending upon the length of time involved with the recurring payment, you should complete these compounding calculations for the given number of months/years while simultaneously adding the interest back into the principal. This a fundamental aspect of compounding interest that cannot be ignored. In situations where one of your cash flows is attached to a variable interest rate, you will need to obtain the complete schedule of rate changes in advance of your cash flow calculations. Once this information has been obtained, you should be able to follow the steps mentioned previously to quickly determine the future value of this particular cash flow, even if it features an extensive number of rate changes. In some situations, the introduction of a cash flow may come as surprise, such as an unexpected announcement of a dividend distribution or a tender offer from a company you own stock in. Although these situations are difficult to predict, you can follow the methodology included for both recurring and one-time cash flows to integrate this information into your current analysis and determine how your overall cash flow will be affected. As always, you should be prepared to consult with a financial advisor in the event that any of these calculations seem overly complex. Failure to appropriately estimate your cash flow could result in significant financial problems over time, which is why it is critical to ensure that these figures are as accurate as possible.